Multiple myeloma can be an underlying cause of recurrent subconjunctival hemorrhage. We report one such case of multiple myeloma that presented with repeated subconjunctival hemorrhage in both eyes. A 48-year-old previously healthy Caucasian male consulted our clinic due to recurrent redness in both eyes (OU). He had experienced similar episodes for the past 7 years and that the redness would last for 1-2 weeks and slowly resolve without treatment. He denied blurred vision, pain, itching, lid matting, or discharge during episodes as well as previous trauma, anticoagulant use, Valsalva maneuvers, or coughing. The patient had good health otherwise and was not on any systemic medications. Review of systems was essentially normal except for occasional numbness in both feet. His best-corrected visual acuity was 20/20 OU. Intraocular pressures were within normal limits. Mild inferior eyelid retraction OU was noted but there was no proptosis. Slit-lamp examination demonstrated bilateral subconjunctival hemorrhage inferiorly with mild chemosis OU [Figure 1]. Dilated fundus examination was unremarkable OU. He was referred to the Oculoplastics Service for further evaluation of eyelid retraction and to his medical doctor for a systemic work-up. His systemic work-up was essentially normal except for elevated total protein in the blood. He underwent serum immunolectrophoresis that showed monoclonal gammopathy. Subsequent bone marrow aspiration biopsy revealed plasmacytosis consistent with multiple myeloma. He was referred to an oncologist for chemotherapy. Despite the general belief that subconjunctival hemorrhages are benign, multiple myeloma with amyloidosis should be suspected in patients with recurrent subconjunctival hemorrhage that occur either spontaneously or following minimal trauma or Valsalva maneuver. [Table 1] lists other possible causes of recurrent subconjunctival hemorrhage. Although we did not observe any obvious amyloid deposits in our patient's eyes, a subclinical entity is presumed to be involved leading to fragile conjunctival vessels. We decided not to perform a conjunctival biopsy since the patient was already diagnosed with multiple myeloma on his follow-up visit and there was no therapeutic indication to perform such a procedure. At his follow-up appointment, no further episodes of subconjunctival hemorrhage and conjunctival chemosis occurred. The patient had no other complaints aside from paresthesias of both feet and the systemic investigation that resulted in the diagnosis of myeloma was prompted entirely by the ocular manifestations. In conclusion, this case demonstrates that multiple myeloma may present clinically as recurrent subconjunctival hemorrhages. Although considered benign, this ophthalmic finding may be the initial presentation of a more serious disease entity, such as an underlying neoplastic condition. Systemic work-up should therefore be performed in cases of frequent subconjunctival hemorrhage without known pathological causes. 1. 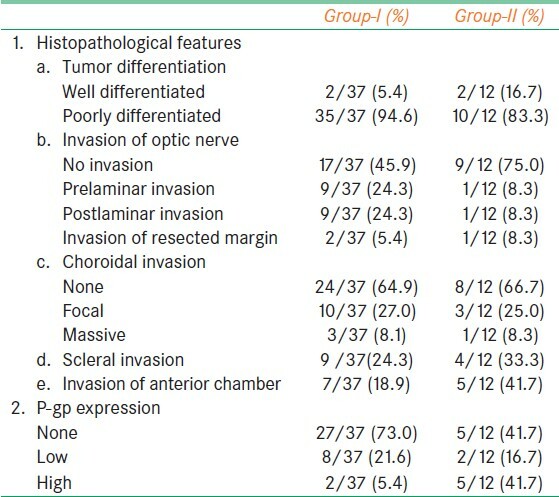 Knapp AJ, Gartner S, Henkind P. Multiple myeloma and its ocular manifestations. Surv Ophthalmol 1987;31:343-51. 2. Aronson SB, Shaw R. Corneal crystals in multiple myeloma. Arch Ophthalmol 1959;61:541-6. 3. Pinkerton RM, Robertson DM. Corneal and conjunctival changes in dysproteinemia. Invest Ophthalmol 1969;8:357-64. 4. Lee HM, Naor J, DeAngelis D, Rootman DS. Primary localized conjunctival amyloidosis presenting with recurrence of sub-conjunctival hemorrhage. Am J Ophthalmol 2000;129:245-7. 5. Higgins GT, Olujohungbe A, Kyle G. Recurrent sub-conjunctival and periorbital haemorrhage as the first presentation of systemic AL amyoloidosis secondary to myeloma. Eye (Lond) 2006;20:512-5. Tarlan, B. and Kiratli, H.